We all drew the house shape in first and second grade, then our art teachers told us that houses don’t look like that. Well, I still see them that way. And the most important thing is not the atmospheric effect, or the accurate rendering. It is quite simply that the house shape holds color really well. 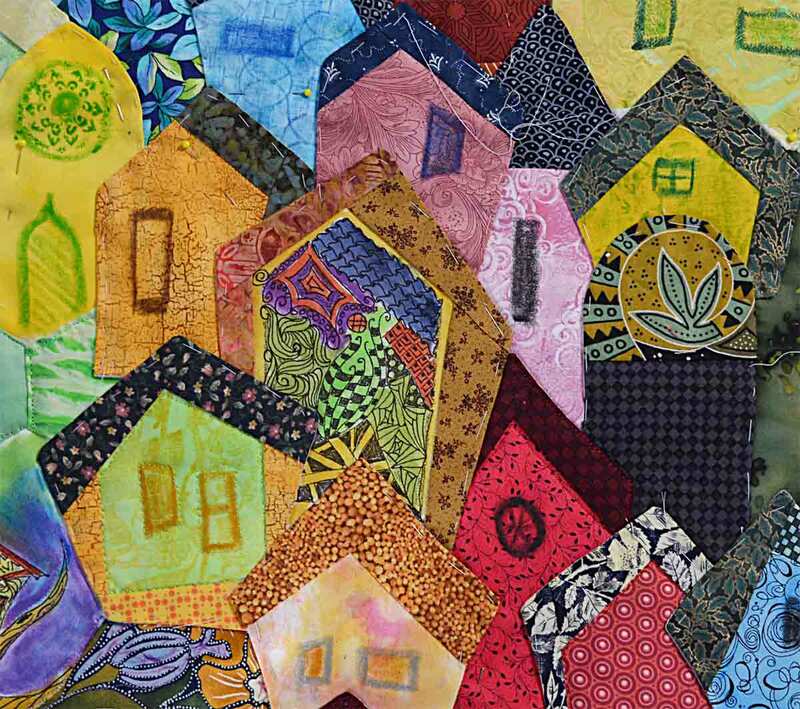 At my stop on the studio tour, I will have some of the house shapes I used in this quilt for visitors to color with dye sticks, fabric paints and water soluble crayons. Quilting is mostly coloring with fabric scraps, but there is no reason not to start with plain fabric and color on it, too!